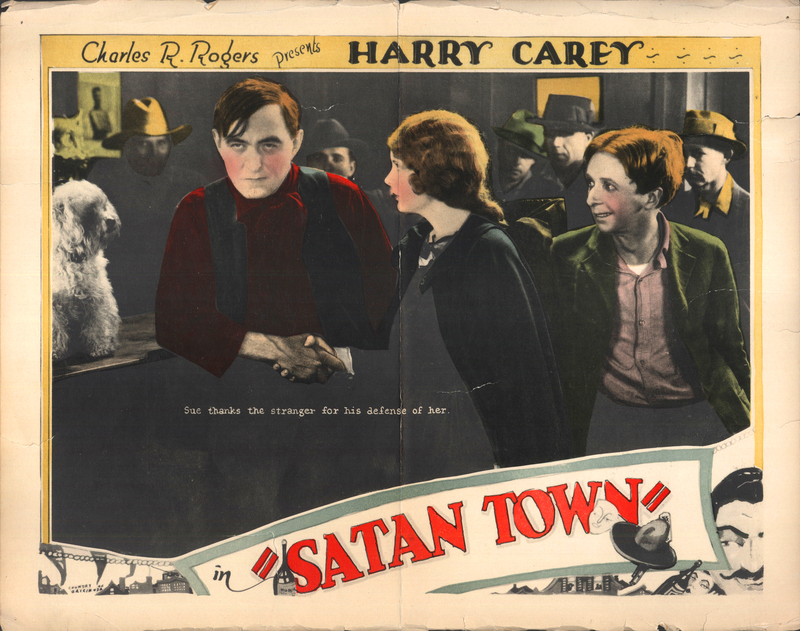 Original lobby card (standard 11x14 inches, colorized, impaired) for "Satan Town" (1926) starring Harey Carey Sr. (seen at left), directed by Edmund Mortimer (1874–1944), produced by Charles R. Rogers Productions and distributed by Pathé. Charles R. Rogers is the guy who, a decade later, took over Carl Laemmle Jr.'s position at Universal after the Laemmles, father and son, were pushed out for major cost overruns on "Show Boat" (1936). Rogers was VP in charge of production at Universal from 1936 to 1938. We don't know what "Satan Town" was about or where it was filmed. We don't actually know whether it exists. It used to be, roughly 82 percent of all films from the silent period were lost; in recent years as more films have been discovered in attics and overseas archives, the figure has fallen, maybe as low as 70 percent, but as of 2014, we're unaware of an existing print of "Satan Town." We do know it was a 6-reeler, so roughly 60 minutes, and that Carey was living on a ranch in Saugus at the time (where the Tesoro del Valle development would later be built). 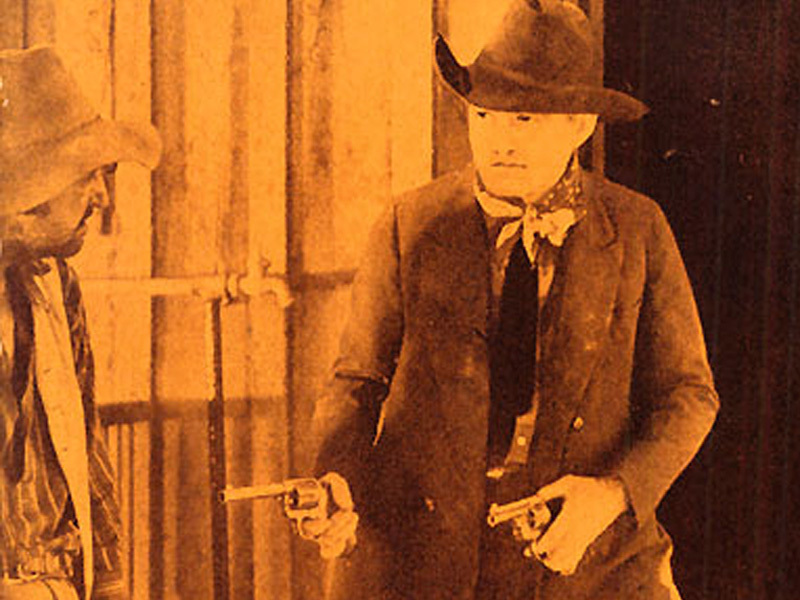 "Satan Town" was released domestically on Aug. 15, 1926. It was written by Jack Boyle (story) and Marion Jackson; it was filmed by the Italian-born cinematographer Sol Polito (who made a name for himself at Warner Bros. in the 1930s and 1940s); and it costars Kathleen Collins, Charles Clary, Trilby Clark, Richard Neill, Ben Hall, Charles Delaney and Ben Hendricks Sr.
LW2673: 19200 dpi jpeg from original lobby card purchased 2014 by Leon Worden.